I am afraid of fire. I never ever liked fire trucks as a kid. The only way I get near an open flame these days is to roast marshmallows for my smores’. That’s why this next bucket list item kind of scares me. It’s not just the fire but the only thing between you and the ground is a wicker basket! I imagine it is beautiful up there. If it’s anything like the peace you feel when floating down from an airplane jump after your freefall, it would be worth it. We discovered last Christmas that my daughter was frightened out of her mind by a hot air balloon in a Christmas parade. A local company had one of their balloon baskets in the back of their pick up and they were doing the fire thing along the way. She did not like it one bit and the rest of the parade was pretty much a write-off. I have never told her about my fear of fire so it was interesting to find out that she has one as well. All the reason to do it, right? Face the fear. 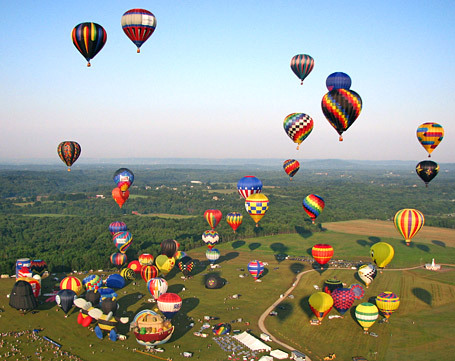 One day… as long as I can where a fire-retardant suit and a parachute? I have been up in the air before with nothing but a beautiful coloured shute and a life jacket. 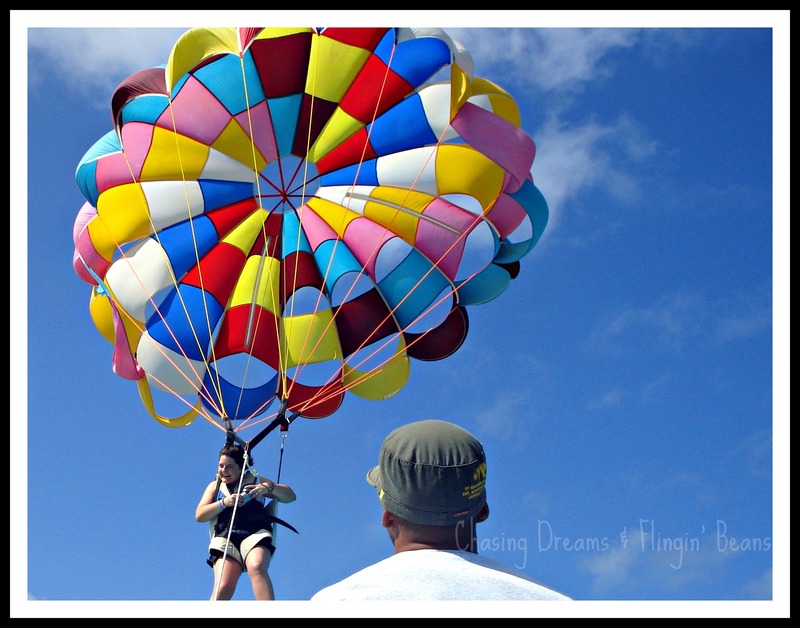 I went Parasailing in Aruba. It was a 10 minute ride over the Caribbean Sea and beautiful Palm Beach. The scenery and peacefulness was awesome but I have to admit… I’m glad it was only 10 minutes. I was starting to feel a little “seasick” from the wind knocking me back and forth. I am so glad I did it though. I kept thinking to myself that this must be what it’s like to be a bird… it is a very ” free-ing” feeling. Secret Lives of Fict… on YUM YUM! Ema Jones on YUM YUM!